Your soft but hardwearing printed aprons are made from smooth Suede Vision fabric, a hero among our fabric range. It's fire rated and water resistant, making it safe to use in and out of the home. 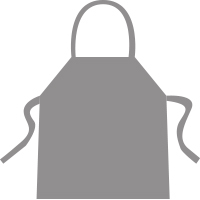 We offer apron printing in 3 sizes. These strong and stylish custom made aprons are perfect for cooking, gardening, crafts and playtime with little ones. Design your own apron for a stylish way to protect your clean clothes in the kitchen, garden or playroom. Made from fire retardant Suede Vision fabric, these custom made aprons are a safe and strong choice for any messy activity. Available in 3 sizes, everyone can be involved including children. Choose from large (36" long, 26" width) medium (32" long, 26" width) or kids size (20" long, 16" width). 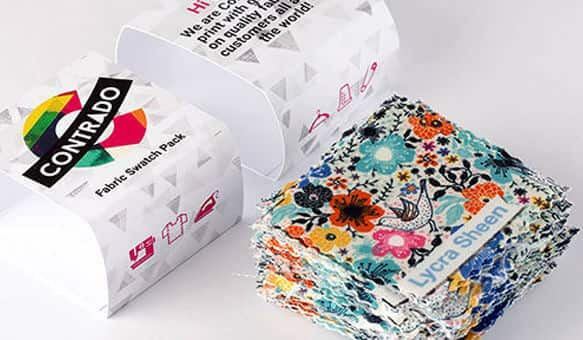 Being water resistant, durable and printed edge-to-edge with your unique designs, they offer you protection as well as originality. 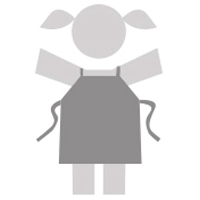 Aprons design for children are a great way to encourage them to learn about cooking and nutrition, or get them outside potting plants and getting close to nature. 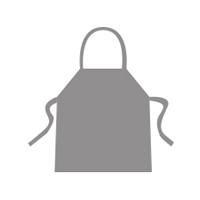 You can also use our apron printing service for hobbies such as pottery, painting or baking. Make sure your apron is the perfect fit for cooking up a storm in the kitchen. Your custom made aprons are expertly handmade to order by our textile professionals and artisan seamstresses. Your special design is digitally printed onto a large piece of Suede Vision fabric, where the inks fuse deep into the fibers creating a long-lasting permanent print. This is then cut to size and shape. You can choose from 3 colors for the complementary neck and waist tie; either mushroom, beige or black. Suede Vision fabric is a mock-suede, and prints really come alive with strong contrast. When your printed aprons arrive, they are pre-washed and pre-shrunk. Machine washable in a normal color wash at 30°c. Non-fray and no abrasion, so your print is deep, rich and permanent. For designs that have a specific orientation, portrait works best, however you could always use our design system to tile a landscape image for a repeat pattern. 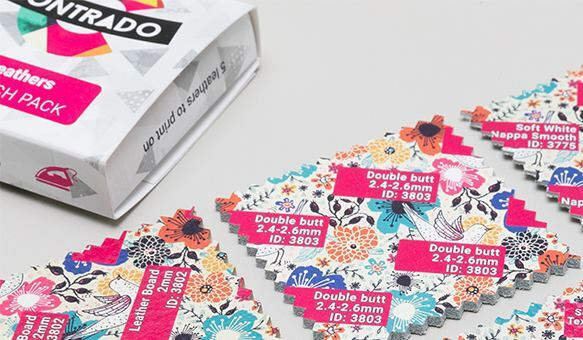 Approximately 0.4 inch is used for the hem, so any important details such as text, we advise to keep away from the edges to guarantee it won't be lost. Design your custom aprons using a unique mosaic design for inspiration when you're painting or getting crafty. The print detail is exceptional with fine details printing crisp and clear. For cooking activities, ignite the taste buds and get mouths watering by wearing aprons printed with all your favorite recipes, or still life paintings of food. There's so many possibilities for how you can design your own apron, whether it's to use at home, for your hobby or at work. Tropical bird printed Apron for kids "Be Wonderful"
Spend your weekends together as a family doing various creative and crafty activities wearing custom aprons. Make printed aprons part of a new family tradition where you can bake, plant flowers, paint and get crafty in style. Matching aprons are a great way to bond and encourage learning through artistic mediums. Add an extra professional touch to your restaurant or catering establishment with custom aprons. Printed with your logo and each chef's name, bespoke uniforms give staff a sense of pride and purpose, and also ensure everybody is equipped to do the job. Fire rated and water resistant, these are the perfect printed aprons for a kitchen. If you run an art club or have your own design brand, create aprons design for members to wear. 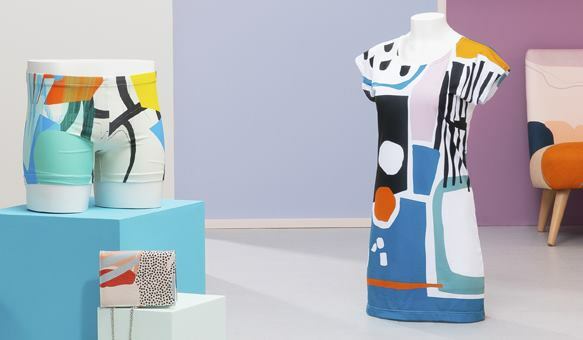 Printed with original and colorful pieces, creative inspiration will always be in abundance. You could also look to sell a line of aprons printed with your own artwork, allowing customers to not only look and appreciate your talent, but wear it too. What color is the apron tape? Select from 3 neutral colors and choose the one that best complements your design. There's either beige, mushroom or black. Is my apron machine washable? es so there's no need for extra maintenance. Please find more information in the care instructions above. The suede vision fabric we use is naturally more resistant to fire than other fabrics. It's been officially tested and meets industry regulations. Take a look at the diverse range of aprons exclusively designed by our #ContradoCreatives. From the illustrative and abstract to the floral and feminine prints, there's something to suit every style taste. Apron "Vermeer's Kitchen Maid and the Cat"
'Stand by your pan' apron. Apron "Still Life with the Lobster Measured by the Cat"
'Flour in my hair' Apron.